Sixth grader Perry has a passion and a talent for photography so being on the yearbook staff is a natural fit for her. Even better, her best friend Venice is on the staff as well. The two girls are looking forward to helping to craft the yearbook and are flattered that the editor, Anya, chose them based on their photos. 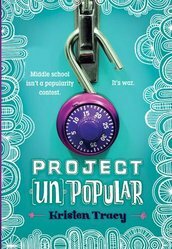 But it soon becomes clear that Anya has her own vision that involves putting a spotlight on all of the most popular kids in school and ignoring everyone else. When Venice starts dating a boy Perry can't stand, she is open to Anya's suggestions to work as a spy and to help Anya with her yearbook dream. I am on a roll of books that are just not very great and that is not a good roll to be on. Storylines were dropped or put on hold indefinitely (because this is going to be a series) and Perry is not a winning protagonist. She is quick to sell out her friend but never has a conversation with said friend about what is bothering her. Because it is obviously a series, the "ending" did not even try to tie things up. Another chapter could've come right there without missing a beat.